Backed by consistent efforts of our talented workforce, we have been able to provide Pre Engineered Building Structure. Widely used in construction industry, the given range of building structure is designed by making use of high quality basic material and advanced machines. 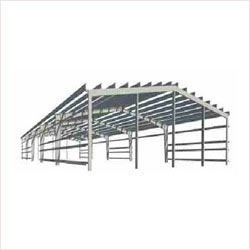 The offered building structure is customized in order to fulfill customer’s demands. 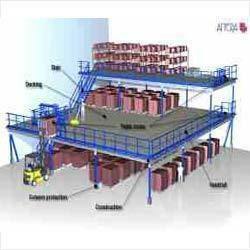 By utilizing skills of our expert professionals and creative workers, we are engaged in offering Industrial Mezzanine Floor. Our offered floor is widely commended among our customers due to its high durability & tensile strength. This floor is design with supreme class basic material, in accordance with the set quality standards, at our manufacturing unit. This floor can be customized as per details given by our valuable clients. 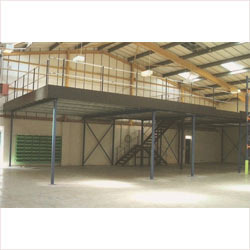 We are a trusted entity in the relevant industry, engaged in providing Mezzanine Floor. This is an intermediate floor between main floors of a building, the offered floors are well designed using supreme quality basic material and technically advanced tools, in synchronization with set industrial norms. Due to its features like tensile strength and durability, these floors are broadly valued in the market by the customers. 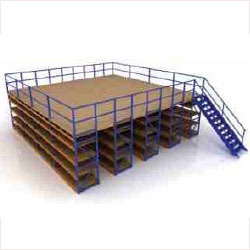 Backed by our expertise in the concerned industry, we are able to offer Diy Mezzanine Floor. The provided range of floor is exactly designed with advance tools & best grade material under the direction of our professionals. This floor is made available in different specifications as per the precise needs of the patrons. We stringently monitored this floor to make certain its flawlessness at customer’s end within the stipulated time-frame. Looking for Pre Engineered Building Structure ?